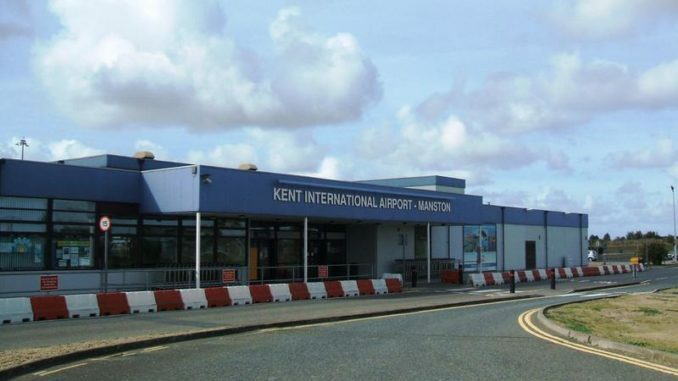 A report published on behalf of the company aiming to reopen Manston airport by securing a Development Consent Order from the Government claims the revival could create almost 30,000 jobs within 20 years. The report has been published by aviation academic Dr Sally Dixon of Azimuth Associates and is the fourth, and final part, of a submission from RiverOak Strategic Partners as part of the Development Consent Order process. RSP hopes to reopen the airport as an air freight hub with passenger services and business aviation. It bought out the DCO rights from the original proposing company RiverOak corporation last December. In it Dr Dixon says: “This report describes how the number of jobs created by airport operations at Manston has been forecast. “Direct on-site jobs are predicted to be 2,150 by year 5, of which 697 posts are forecast to be created by the airport operator. The direct employment figure will rise with increasing freight tonnage and passenger numbers. “The total figure for jobs created by the operations of Manston Airport is forecast at around 30,000. “These figures represent a wide range of long-term opportunities for aspiring local school leavers, college graduates, and those at all stages of their careers. “Construction jobs required in the redevelopment of Manston Airport are shown separately since these are impermanent positions. “Before RiverOak reopens Manston Airport, a total of eight freight stands and three passenger stands for aircraft will be constructed as well as warehousing and fuel storage to meet the forecast demand. “Further construction will take place in years 4, 10, and 15. The redevelopment project across the 15-year timeframe is forecast to require 1,475 people working years. “The positive economic impact grows each year along with the airport. 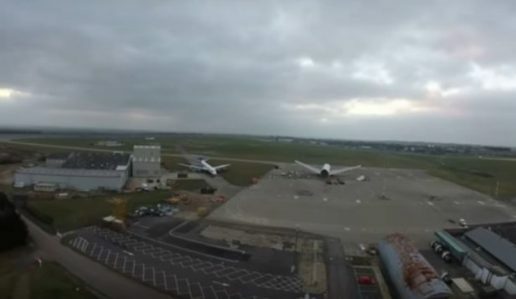 We have forecast up until the 20th year of operation, by which time 30,000 people in Thanet and East Kent would be able to trace their job to the revival of the airport. 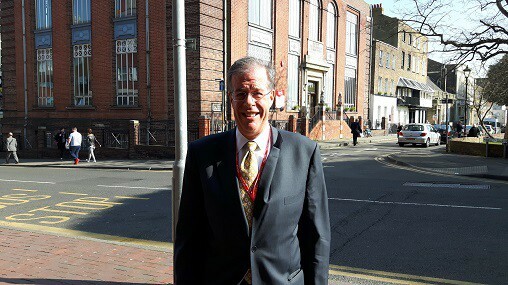 Dr Dixon, an academic attached to Cranfield University, said: “Thanet District Council’s economic development plan is ambitious. The council is starting from a challenging situation, given that local employment, productivity and wages are generally lower than in other parts of Kent. RiverOak Strategic Partners is preparing for the next stage of consultation on proposals to reopen Manston airport. The consultation is expected to start in June, after the General Election. But theirs is not the only vision for the site. Landowners Stone Hill Park want to create homes and businesses at the site. 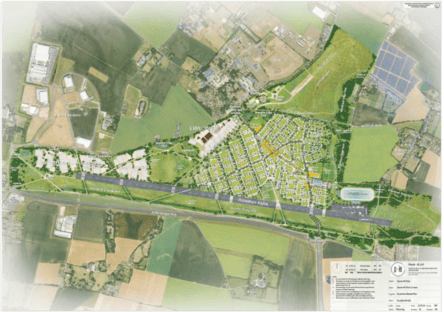 The company has submitted a masterplan to Thanet District Council for 2,500 homes; an advanced manufacturing focused business park; sports and recreational facilities, with the former runway becoming the focal point for a network of parkland, trails and outdoor space, and a ‘heritage hub’ at the site. Stone Hill Park says it expects its planning application for the site to be examined by Thanet council later this year. The company has been asked for comment on the latest section of the RSP report. 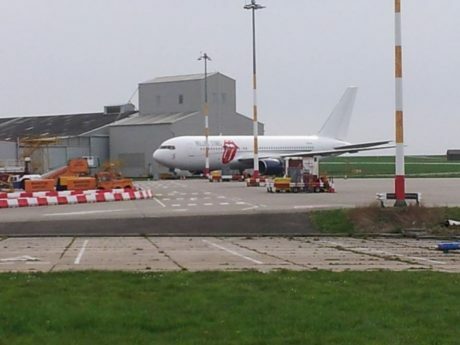 Another potential investor was also revealed this month with the announcement by DTD Consult of interest from an American logistics firm which says it wants to buy Manston airport and pump in £100m with the aim of relocating 12 aircraft currently in Europe to the 750-acre plot.